We have set up our traditional “Punch and Judy” style travelling stage at schools, multicultural festivals, libraries, museums, churches, retirement communities and in a barn (Donkey sanctuary)! The stage incorporates lights and amplification that can be used when needed to support our completely live performances. New since 2014 are our interactive shows “Stone Soup”, “That’s Not My Mommy” (English or French) and “No Puppets No Problem”. In March 2018, we will premiere “Wish Fish”, our version of The Fisherman and his Wife. We have cordless microphones for outdoor venues. > Sat. February 23rd, 2pm: : “Wish Fish” – all ages. Followed by games, exhibit tour, and puppetry demonstrations. Sat. Mar. 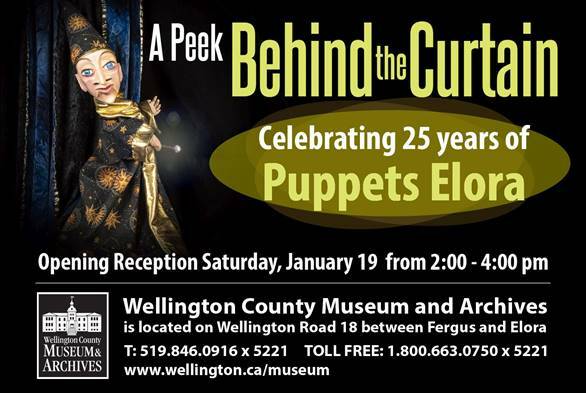 30th at 2pm: “No Puppets, No Problem!” – all ages. Followed by games, exhibit tour, and puppetry demonstrations. BYOPuppets! Share and learn all about puppet construction.